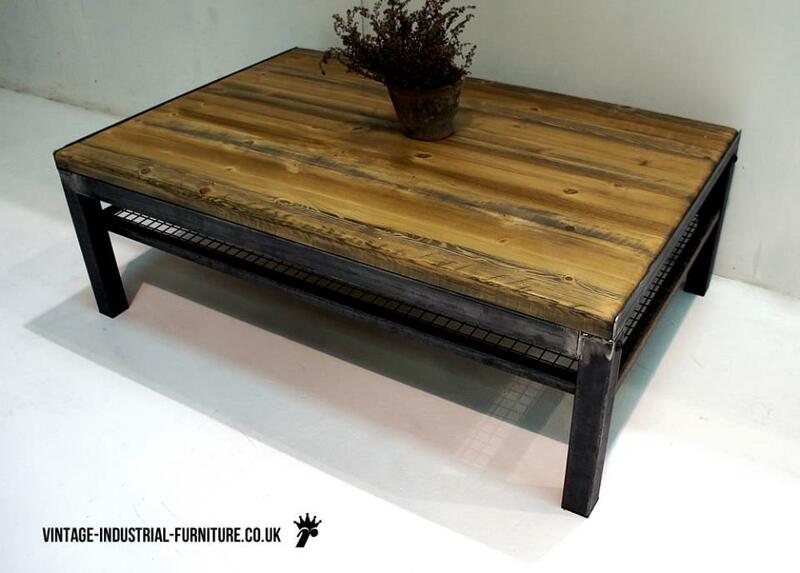 Our industrial coffee table with shelf has substantial square steel tube legs and strong proportions. When you feel this piece first hand you will appreciate that it is constructed with a generous use of materials. The lower shelf is constructed of angle-iron and steel mesh. This is both strong and also allows the floor to be seen through it, avoiding a boxy apperance. 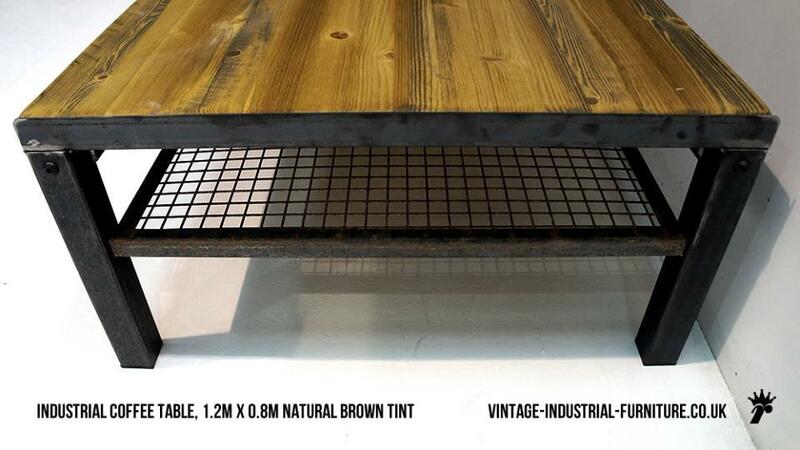 The vintage industrial coffee table with shelf shown here is in "natural brown tint", whilst the steel frame is grey self-colour.